Our Military Shadow case, is the perfect gift for any Office, Military personal and veteran. 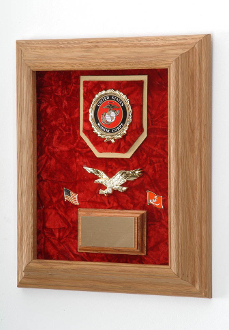 Our Award display case is hand made by American Veterans, and will proudly hold a military award. - We believe that Our Heroes have to get the best Military frames, and we make no shortcuts on that . We offer personalized plates that can come in the case. - We ship all of our orders within one business day. So if you are looking for a top quality award case, think no more !!! !